Finger Gesture App, BetterTouchTool Goes on Sale! 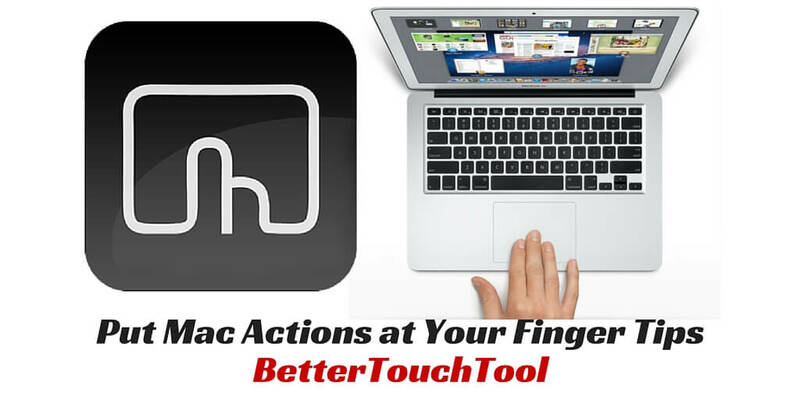 I’m pleased to share that the finger gesture application, BetterTouchTool, is now on sale. Though I’m not the developer of the application, I say it’s about time the developer got paid! 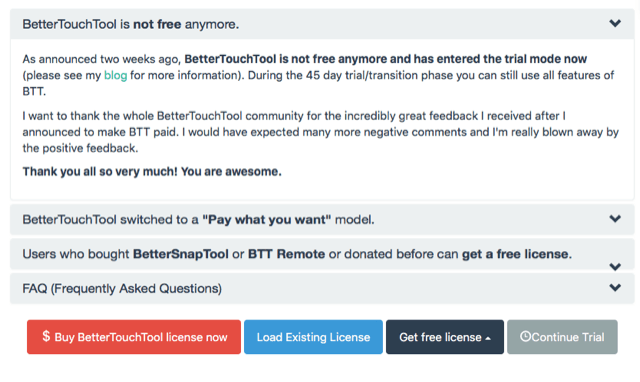 When I first received an upgrade notice that BTT would no longer be free, it took less than thirty seconds for me to click the red “Buy BetterTouchTool license now” button. I’ve been using BTT for probably three years now, and with each update I’ve added more finger gestures actions to my repertoire. I simply find BTT finger gestures much easier to remember and use than punching keyboard shortcuts. Plus, since my hand is on my trackpad almost as much as it is on the keyboard, it’s very convenient to perform actions without having to switch back and forth to the keyboard to hit a few hotkeys. I’ve published several articles about BTT, but for those whom have never used the program, the following is a list of common Mac actions that I perform using BTT. Here’s a quick video example of how I use a TipTap Left (2Fingers Fix) to quickly close Safari tabs. These are just a few of the over hundred actions I perform globally and in specific applications using about a few dozen finger gestures. 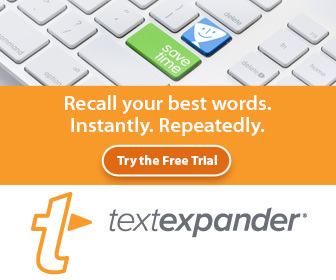 The more I use them, the easier they are to remember. I’ve compared BTT to Apple’s finger gesture feature, and if you’re using the latter, you owe to yourself to step up to BTT, even now that it’s not free. Before I clicked on the BTT buy button, I was expecting the application to be about $20, because quite frankly it’s worth that. But no, the developer is charging between $3 and $50! 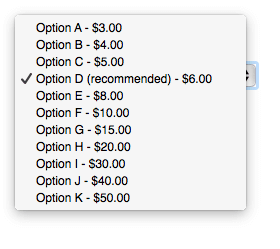 His recommend option is a very modest $6. I appreciate the recommended price, but it’s a good thing he’s asking for more. BTT is updated on a regular basis, and I have yet to experience any significant problems with the program. And I’m sure that the developer is going to be adding more features and gestures in future updates. The last few major updates for BTT included support for Siri Remote, Force Click gestures to support the new Apple Trackpad and Magic Mouse, Drawing gestures. Yes, you can actually draw lines on your desktop to trigger an action, such as empty the trash, open an application, or send a shortcut to a specific app in the background. BTT is seriously advance computing. Even though BTT is now a paid application, you can try it for free for 45 days. You probably won’t learn and use all of its powerful features in that amount of time, but I can assure you that BTT will make performing many Mac actions less effortless and time consuming. I think BetterTouchTool is so powerfully useful that I will be creating have created an entire course about how to use it. The course will include time saving resources for helping you get up to speed with BTT and make it a part of your daily Mac workflows and actions. In the mean time, check out the category of articles I have already published about BetterTouchTool. If you have any questions about the application, please post them in the comment section below.